Copenhagen is on the come up. 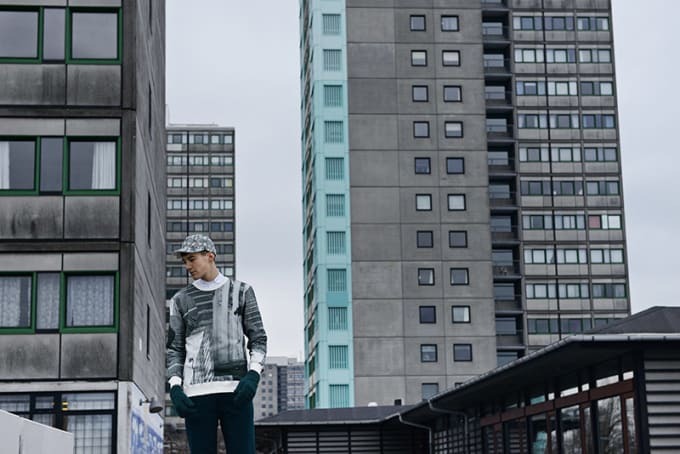 Residents of the city have long-worn the kinds of sportswear-meets-streetwear-styles that are gaining rapid traction in the United States and abroad. Brand8 taps these designs for its fall/winter &apos;14 lookbook "City Surfaces." The collection is wholly forward - it&apos;s full of &apos;fits that mesh futuristic silhouettes with tech patterns - but contains some elements from the past as well. Bucket hats and windbreakers, some gingham socks peeking out beneath cuffed, loose slacks and those nylon swishy-sounding pants with elastic around the ankle everyone wore in like 2001 can be seen in this line. We&apos;re especially fans of the turtleneck additions, paired with beanies and crewnecks.